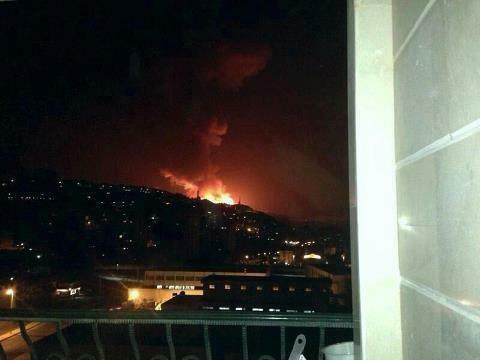 Massive explosions have been heard near Mount Qasioun in Damascus. The area hosts the Jamraya military research center, which came under Israeli attack earlier in January and marked the first incursion by Israel into Syrian airspace in six years. A senior US official confirmed to NBC News that Israeli Air Force bombed the military research center. 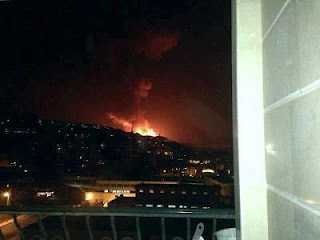 The overnight Israeli strike reportedly targeted Iranian-supplied missiles to Lebanese guerrilla group Hezbollah, a Western intelligence source told Reuters. "In last night's attack, as in the previous one, what was attacked were stores of Fateh-110 missiles that were in transit from Iran to Hezbollah," the source said.